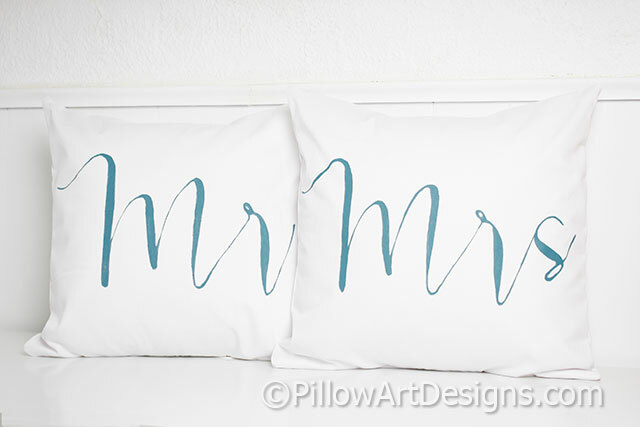 Couples Mr and Mrs pillow covers hand painted in modern calligraphy font. 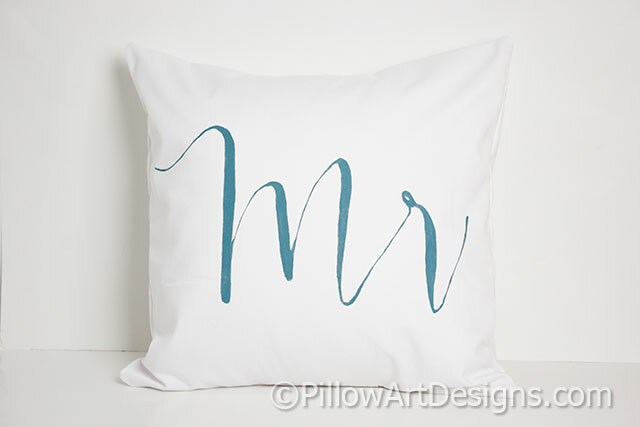 Made or order, available in black paint, grey paint, harvest gold paint or teal blue paint as shown. Made to fit inserts 16 X 16 inches, inserts not included. Please allow me one week to complete your order, depending on my workload at time of your order. 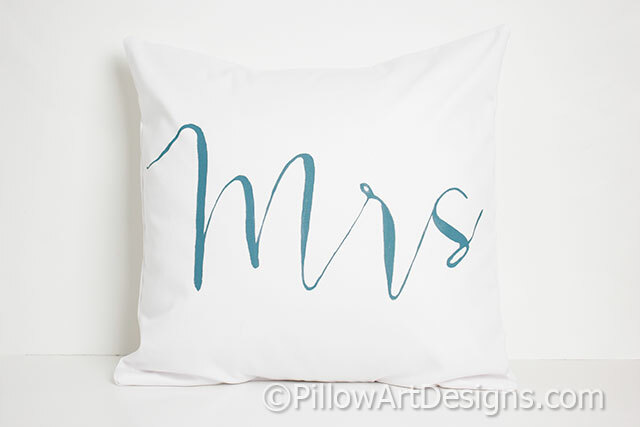 Email me here with any questions or special instructions.